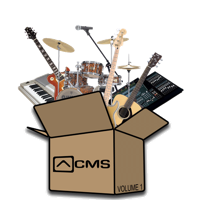 The Conference In A Box course from Christian Musician Summit (CMS) features practical training workshops for every member of your worship team. Discover hours of training for worship leaders, musicians, vocalists, and sound techs on a broad range of topics. For Premium Members, this course is available in multiple formats for you and your worship team.